Well I was obsessed with Supa Luv for like a few months and I was excited to see what their new sound would be for their comeback. Although one of the teaser pictures was quite shocking, I’m glad they aren’t running around in boxers and heels. 향수 뿌리지마 sounds nothing how I thought it would; I was anticipating the R&B version and this is no where near R&B. The song is pretty cute. 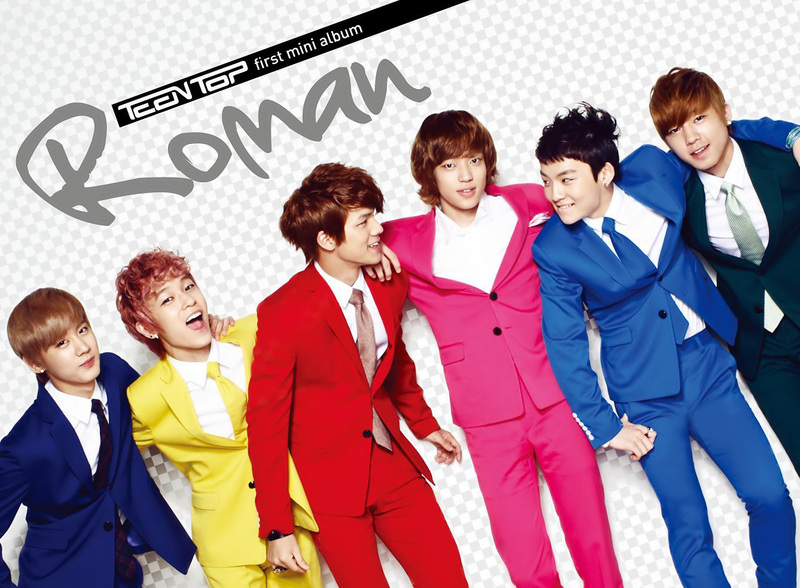 I just realized who this group reminds me of: SHINee. I don’t mean to compare them, but they remind me of when SHINee debuted, with their cute, ‘I’m gonna capture your heart’ sound; very Disney pop. Beautiful Girl is probably my favorite song on the album; very cute and totally makes me feel beautiful. Of course when I saw the title I immediately thought of B.o.b’s Beautiful Girls and the song does sound like it but only when they say beautiful girl, but that’s it. First Kiss is another good track; I really like the use of electric guitar and that whoever the rapper is get’s a little spotlight. This song sounds like Teen Top are trying to get all mature. 손등이 스친다 is an attempt at a ballad, I mostly hear the lead singer Neil; overall decent song.Tell me why is one song that this album could’ve done without. It sounds like something maybe Glee would try to do( I’m not bashing glee or the group), but it’s so random and the song is pretty forgettable.